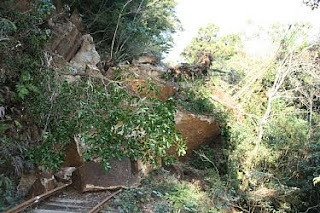 The detour route has finally been secured around the area of the landslide and the Arakawa trail reopens from the Arakawa trailhead on 19th Feb. The detour trail veers off for 400m and consists of some wooden steps and rope. Bear in mind that it will add another 15 mins to the hike.